Before my LiFePo4 house battery upgrade this year, I would need to remove my compressor fridge and plug it in when I would come to my son's house. I needed to do the same when I would randomly stay at a motel. With my Lead Acid Gel cells I could get 8 hours of running my compressor fridge in a full charge. So even one night not tending to charging the old batteries was not possible. 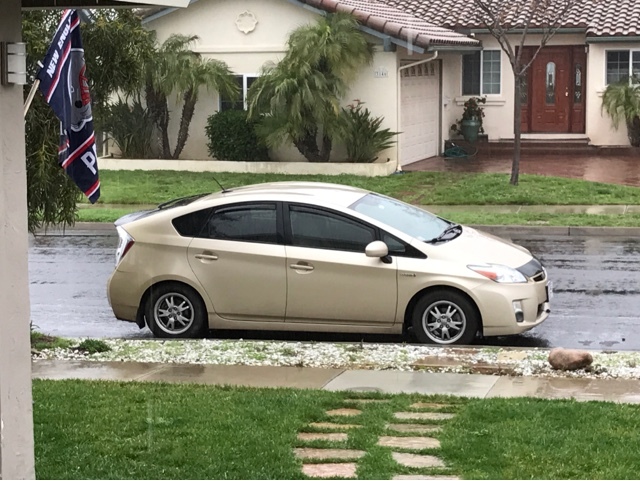 If I did want to leave the fridge running in my Prius for the night I would need to fully charge the batteries before bed and be up and out at the Prius by 7 am to start charging the batteries again. The upgrade to the LiFePo4 has been a game changer for me. It allows me to charge as I drive each day and supplement leaving the Prius in ready mode for when I don't drive enough in a day. Since the LiFePo4 battery doesn't care if you only partially charge it, 15 minutes here, or 20 minutes there is acceptable. I don't have to bring it to a full charge like the Lead Acid batteries. 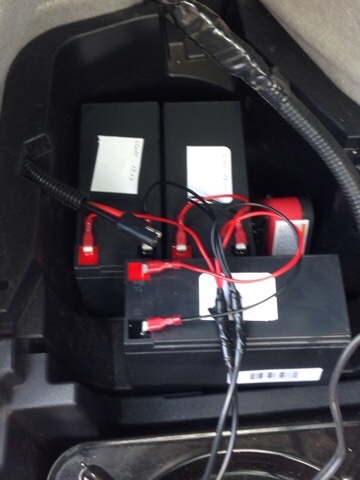 When I flew to Seattle for a few days I needed to remove items from the fridge that may spoil and shut it off for the duration of my travels because I would exceed the capacity of the LiFePo4 battery over more than a couple days. 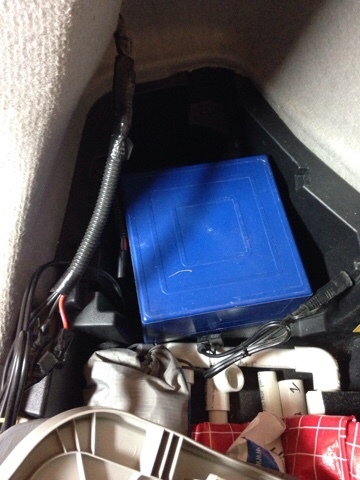 Above is my LiFePo4 battery installed in the drivers side rear storage hole. Now that I have been staying with my son for a week I can now keep the fridge in my Prius. As long as I go out for a couple hours of total driving a day charging using my 400 watt pure sine wave to a 10 amp LiFePo4 charger, provides a sufficient charge to run my fridge all day and night. This has allowed me to have my fridge with me so I can stop anywhere to make lunch. This battery upgrade was so liberating to me in a number of ways. 1. I can leave my car for a day and overnight leaving my compressor fridge run the whole time. 2. 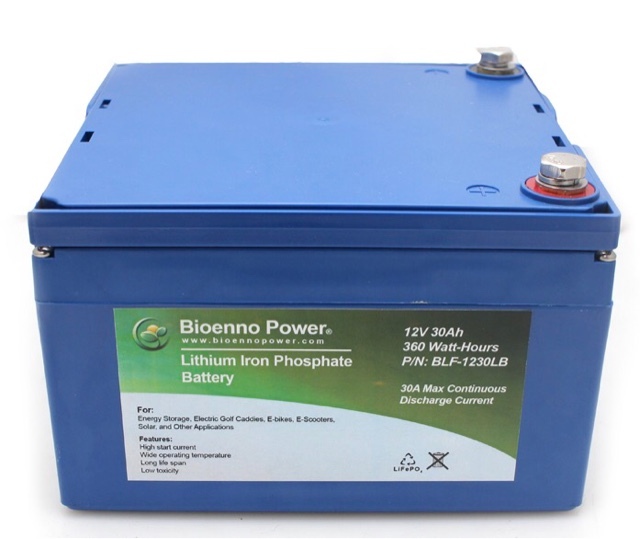 I don't have to look for shore power as often to fully charge the LiFePo4 battery. 3. I can run my fridge all night and have sufficient power to go on a hike or play disc golf during the day before charging. 4. I can charge without fully charging the battery without damaging the battery. 5. I can visit people without running out in the evening to put the Prius in ready mode to have a sufficiently charged battery to run the fridge through the night. 6. I don't need to leave the fridge at my son's house, taking it in and out of car, allowing me to make my lunch anywhere, like I do when traveling. If there is one thing that my conversion to LiFePo4 technology has given me is freedom from a daily obsession of charging my house battery to get by 8 hours at a time, as now I can go 24 hours before charging.